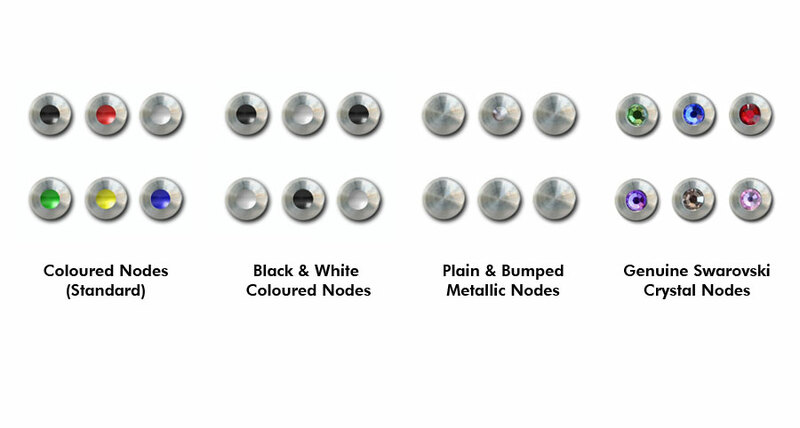 Customize your nodes with an array of custom options including plain and genuine Swarvoski crystals. Keyport Nodes are high-precision machined parts made in the USA. Every node is inspected, hand painted, epoxy filled with a syringe, and each tiny spring onto the shaft are hand assembled. Precision machined high-grade stainless steel with Epoxy-filled colours. Precision machined high-grade stainless steel. Precision machined high-grade stainless steel with Genuine Swarovski Crystals. PLEASE NOTE: Crystal Nodes have sharp edges and may scratch personal items in your pocket or purse such as your phone, tablet, or sunglasses.